full of love and praise. It’s dreary here without Paula. Her two greyhounds stare at me as if because I’m here, their female human should be too. Chrissy and Scooby. I don’t have the heart to tell them she won’t be home just yet. They’ve already been missing her something fierce, I’m sure. A sound outside makes me get up from behind the laptop and move to the front window. The dogs are excited. Perhaps I’ll give them a treat, they think. Or even better, a walk. I see the neighbor across the street poking around in his garden. He wears a lumbar brace, smeared with dirt and stained with sweat. His belly protrudes over the belt. I try to imagine what it smells like and my nose wrinkles in perceived disgust. A UPS truck in the street slows but then inches forward stopping at the house next door. I sigh and absentmindedly scratch the pooch that stands next to me. I look down. Scooby. I take his long head into my hands and rub his ears playfully kissing the top of his nose. No sooner does UPS pull away when another truck, larger and white, pulls up directly in front of the house. I squint to try and read the small blue lettering on the cab. This is what I’m waiting for. But I wish I wasn’t. You see. Paula is not doing well at all. The cancer has gripped her body and is causing a host of other issues. But Paula, whom God put directly into my path so that I could love on her through her struggle, ended up loving on me so much more when I was diagnosed. She saw me through the breast biopsy (which was negative) and then the heart issue (which required a stent) and then the surgery and then the chemo and then the radiation therapy. All along being supportive and encouraging and ever so prayerful. I won’t lie. It was tough to tell her when I went into remission. And I wanted her to be free with me. I wanted us to celebrate together. While she was finding cancer in more and more places I’d been diagnosed, treated, and relieved of the disease. That awful question which has no answer this side of Heaven. But I ask anyway knowing my words fall deafly into a void. Why do I get to hear the words “cancer free” and she doesn’t? Instead, I watch forlornly as Hospice moves in the bed and the tray table and the oxygen tanks and my eyes fill with tears. It doesn’t matter that I know we’ll all meet again in Heaven. I want time with her here – now. We’re just getting to know each other apart from our shared medical journeys. I sign the paperwork of receipt and plop down in the chair behind my laptop, exhausted. I put my head in my hands and pray. Pray for healing. Pray for Heaven. Pray for her husband. It’s all I can do now. Hold her hand, love her, and pray. It’s so true, isn’t it? The longer you’re in God’s Word and following Jesus, you build up trust and faith in Him and strength in His continued love and faithfulness. When God tells you he’ll never leave you, He’s serious. If your roots are strong, you can weather any storm or trial you might encounter. So sink your roots down into His fertile soil and get ready to grow stronger in your faith. I was thinking the other day about how Jesus loved everyone while He walked on earth. Of course He loves everyone even today, but think about it. He loved every sinner … the lame, the diseased, the hungry, the poor, the disciples, Herod, the Pharisees, the Sadducees, and even us, before we were born. Every. Single. One. And we’re supposed to be like Him. I want to, but I always seem to fall short of the goal. My selfish nature worms its way into the mix and trips me up. Oh, I’ve gotten better at it the longer I’ve walked with God, but it’s still a struggle and I often wonder if I’ll ever be like Christ. 16 This is how we have come to know love: He laid down His life for us. We should also lay down our lives for our brothers. 23 Now this is His command: that we believe in the name of His Son, Jesus Christ, and love one another as He commanded us. Can I love others better? Absolutely. I’d hate to think that I couldn’t grow from where I sit today. But how to do that? Where to start? I started by asking God to help me to see people through His eyes. He didn’t waste any time answering me. Within days I noticed a slightly perceptible change in the way I was viewing people. I might be able to describe the change like this … people started looking softer to me. Fuzzy around the edges. More pliable, perhaps weaker … but not in a bad way. Easily injured. Almost as though everyone’s heart was very close to the surface, even if they thought that they had thick skin. Lots of changes came quickly for me after that, but most importantly was the way I treated others. I became outwardly kinder – more considerate. I’m softer with others. Not so quick to judge. And if I do make that mistake, I apologize – quickly – to the person and to God. I also started really listening to the way people spoke to each other. Sometimes I overhear one person talking to another and I cringe. I wonder … if we even had half a clue about the damage our speech does to others would we stop? Would we zip our lips? If we could see the internal destruction, would we place our heads in our hands and cry? If we didn’t I don’t think we could call ourselves Christ’s followers. Will you try this, this weekend, dear friend? Will you ask God to show you how He sees people? Be ready. He will do it and you will be astounded. Father, please be gentle with us. We know you want us to grow into a mirror image of your Son, but we are mere humans, warriors for you and yet fragile beings in this sinful world we live in. Help us to view others through your eyes and keep us strong through the reality we will begin to see. Through this change in understanding we will become stronger and more able to bring your love to the world. In the name above every other name, our Jesus, I pray. Amen. I was listening to Jeremy Riddle’s 2007 debut album “Full Attention” on the ride home from church this week. You know how God will use anything, anyone, and everything to get something across to you? Well, He was working on me on Sunday with the title track. Every time I think I can’t get any closer to God without being in Heaven Jesus shows me a way in which it could happen. Let me back up a minute. The diagnosis of a life-threatening disease severely stumps your long-term planning. Your days are spent only trying to get past the pain, to stop the nausea, to stare into the 10x mirror in your bathroom and kiss your last lower eyelash away. When I initially got told I was cancer free I landed in some sort of fog – perhaps it was a type of shock. Not because I didn’t believe it – no way – God had told me this day would come. But more because I was a little unsure of what that meant in the grand scheme of things. The cancer may be gone but the effects of it weren’t. That’s what I meant when I said in Monday’s post that I was ready … but not prepared. Ready to hear the words “cancer free” but not prepared to live like I was. My mother kept asking me how I felt … heck if I knew! It took about five days or so before I really started feeling a sensation I hadn’t felt in a long while … I think it’s called freedom. Even though I hadn’t realized I was living in a jail. But now a wind kinda swept up under my feet and caught me away on it. Little by little I could start to think about the future again. A future that may include some bum feet and weird Brillo-pad-looking hair but still had infinite possibilities. When you’ve spent over a year leaning hard on God and allowing Him to take over and you’ve been able to see that He absolutely does take care of what you need and that He absolutely is true to His promises – what more can you ask for? How much deeper can your relationship get? It’s scary but I’m getting a picture that the answer is: much, much deeper. He must have said, “Let me show you,” and an almost imperceptible change happened inside me. I “turned.” Like I was on a switchback curve in the Rocky Mountains. All at once I felt as though I was stronger. Stronger spiritually. I felt I knew God. Not all of Him of course, but certainly more than I did two years ago. I could behave differently now because I have been treated to His incredible goodness. I could be truer to Him. I could show more of His love to others. I could abide more deeply in His love. I’ve decided that growing in Christ is like making one turn after another on our way to Heaven. You turn just a little and whammo – you’ve got yourself more knowledge of God and more love for Him. I wondered though … how can others have this without getting cancer or some other horrible disease and going through what I went through? If you’re a Christ Follower, His divine power is in you. It’s glorious and even though I can’t believe I could feel more rooted in Christ, I want to. Just thinking about being thought of as holy or attaining this wholly lofty ideal makes we want to say, “Holy archangels Batman!” I can’t quite fathom it! Days 15 and 16 in the Bible study are on holiness. Trying to comprehend how holy God is, what it means to say we’re holy, and how to live to become holy. “You shall be holy, for I am holy,” says God in 1 Peter 1:16b it’s a command from God Himself. Haven’t you ever shuddered when you think of yourself as a saint? And yet we who have found salvation in Jesus are considered saints – set apart for God. Clearly my behavior at that gas station outlined in the last two posts was very unsaint-like! But how can we possibly hope to be holy? Let’s look at the entire passage from Peter though for a clue. We hear echoes of verse 14 throughout the New Testament. Don’t fall back into your old pattern of living. When I became born again, I had the hardest time kicking myself free of my former life. Now that I write that out – I see it was probably because I tried to do it on my own. “I had the hardest time …” It’s true. I didn’t allow anyone to help me grow, I didn’t ask for help assuming I could do it on my own, nor did I ask for Jesus’ help to strengthen my resolve. What that did is lengthen the time it took me to start living holy. Verse 15 is pretty awe-inspiring isn’t it? The one who called us … God. The Almighty. The Alpha and the Omega. Heavenly Father. So holy that when heavenly beings speak of His holiness they cry out three times … “Holy Holy Holy is the Lord God Almighty…” ~ Revelation 4:8b Anytime a word is used in succession like that in the Bible, it’s emphatic or superlative. Making, in this case, God’s holiness even more so – the most most most holy. So here is our God calling us to be holy in our conduct. I get the meaning pure and true. Can we do it? I know we can try and certainly that is what God is working us toward … our holiness … our Christ-likeness. Then, in verse 16, Peter reminds us that God Himself is our standard for Christian living. He states, “For it is written…” and when anyone says that in Scripture I always search for where it was written. Here I find the call to be holy uttered by God to the Israelites “For I am Yahweh your God … be holy because I am holy” in Leviticus 11:44 and in 19:2 and 20:7. Can we ever hope to truly be holy? I would pray that as we walk in obedience we would get closer and closer to His ideal. While I used to dread that sick feeling when I realized I’d sinned, now I almost welcome it … not the sick feeling (!) … the identification of committed sin. We can make ourselves more open to the Holy Spirit’s promptings to point out our sins and then confess and repent from those sins. I’ve found that it actually becomes easier and easier and at times, I’m almost glad when the Holy Spirit pulls me up short on something. I want to become holy like Him. In my heart of hearts, I want to please my Father. Watch the company you keep. People can have more impact on you than you’d expect, so seek out godly friends. You’ve probably heard Proverbs 27:17 “Iron sharpens iron, and one man sharpens another.” For me it’s my bunch of Outrageously Christ-Filled Girlfriends and the ladies I lead with in BSF – good friends encouraging one another to grow in wisdom and godliness – even if it requires painful criticism. Keep yourself sexually pure. This probably requires its own blog post, but in short, participating in sexual immorality will have the devil salivating at your door as you become one with the world and not living as one set apart for our Father. Holiness is perfected by love. Perfect for a time such as this in our country – straight from 1 Thessalonians 3:12 (emphasis mine) “And may the Lord cause you to increase and overflow with love for one another and for everyone, just as we also do for you.” Later on in verse 13 Paul states that in loving others God will make your heart blameless in holiness. If we will look at one another through the eyes of Jesus, I guarantee that our hearts will be broken again and again with love for people we never thought we could love. It completely changes the way you view the world … at least it has for me. As you think about becoming more holy this weekend, let God know that you want to be holy as He is holy. Ask Him to show you anything in your life that mars His image in you. Then remember that it’s love for one another that demonstrates His holiness and manifests the reality of God within us. As we abound in love, we live out holiness. Pick someone to love on this coming week … someone who needs it. Let them experience God’s love through you. And have a fantastic weekend! I volunteer on the Prayer Team at my church. We’re a bunch of people who have felt the call of God to stand in the gap for those who are unable to do so themselves. We pray for the pastors, the church, the lost, the service as it’s progressing; and we pray over all those prayer requests that congregants fill out and place in the collection plate. Some of us also work at the altar, receiving those who come down for prayer. Sometimes God even sends me up into the seats to pray for someone … but that’s a different story. Recently, while praying at church, I was overcome by a sense that a lot of people thought that their past was so bad that they weren’t worthy of being saved … that their sin was so bad that God couldn’t possibly love them. Their pain was raw. I could feel it. I shed tears as I prayed for those souls, asking God to peel back the layers of their hearts and speak His life into them. Let them know of His gracious love. The anguish. The despair. The deep pit of lost … it was almost overwhelming. God can’t possibly use me. God can’t possibly love me. But suddenly you’re on your feet. Something (someOne) drives you to answer the Pastor’s call to prayer and walk to the front of church after the service. I see you walking down the aisle to the altar. I see your eyes searching for a friendly face. For acceptance. For love. That’s when I smile, hold out my hands, and take yours in mine. Jesus loves you so much. Not only has He been waiting for you your whole life, He is waiting to use you to fulfill His glory. He knows exactly who you are. He knows the road you have travelled. He knows what your past looks like and He can see your future. And still … he waits for you with arms flung open wide and a huge, goofy grin on His face. Listen carefully and you will hear Him. He is crying out for you to turn to Him. You wouldn’t have walked this path if some part of you wasn’t already leaning toward Him … searching for Him … straining to hear His voice. Bring yourself to Him and sit at His feet. … just as Christ was raised from the dead through the glory of the Father, we too may live a new life. The next feeling you will experience is His magnanimous mercy. Your past will be forgotten. You will begin to live a new life. Are you ready, dear one? Honestly, you’re still putting yourself down. Do you think the Holy Spirit is saying that to you? No. It’s the father of lies. Damning you into slicing and dicing your own psyche … your soul. Sheesh, he barely needs to work up a sweat. We can easily do his dirty work for him. Perhaps there are other words in your vocabulary? Ding Bat! Ditz! Jerk! Clumsy! Dolt! Dunce! No good! Worthless! Scum! We are not those things. Ever. As children of the One True King, we cannot be labeled and we shouldn’t allow it to happen. Not at the hands of others and not at the hands of ourselves. So how is it that we so easily come to tell ourselves these vile untruths? 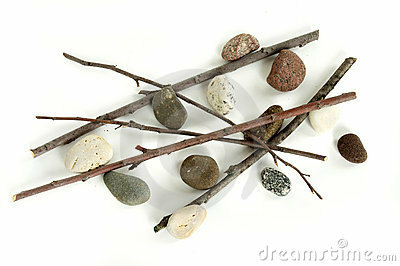 Sticks and stones will break your bones but words will never hurt you. You may remember that familiar refrain from childhood. My mother used it on my brother and me when we came crying to her because someone called us a name at school. Kids are brutal. Fat. Dummy. Weirdo. Four eyes. Stupe. Retard. Sissy. Fraidy Cat. Not hard + not solid = no pain and no injury. Women sit on my counseling couch and pour out a life that has been harmed by words. Instead of being told the truth about words, we let them fester inside us. We wear the words like a horrific badge that we take out of our pockets and polish until it gleams and we can see ourselves in the reflection. Even when they hurt us. Jesus wants us to wear only one badge. Jesus wants us to hear only one set of words. That He loves us and in Him, we are made perfect. He loves you, child. Just as you are. No label can define us, for we are defined by Him. By His love. To come to Him and not allow Him to free us from the names … the labels? To wrap our grubby little hands around our badge so tightly it cuts into our palms, weakens Jesus in our hearts. It tells the evil one that we cannot truly accept His grace. That we stomp on His mercy. That we turn our back on His love because we’d rather hold on to a word. A label. A badge that we or someone else has given us. It tells the evil one that, for our soul, he has won. Jesus is greater than that label. He is greater than that badge. Walk this week in the truth that Jesus loves you so much He aches with pain when you allow yourself to be beaten by a word. Feel the power of His Holy Spirit manifest inside you. HIS power. To dismiss the lies of the devil. What label should we wear?